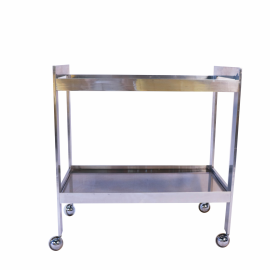 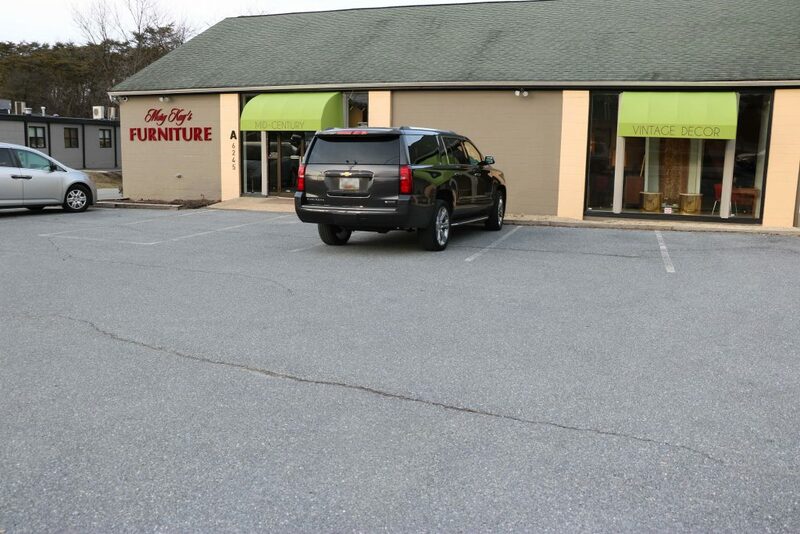 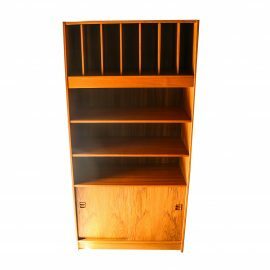 A well-built Mid Century Modern two tier, smoked glass, chrome bar / tea cart. 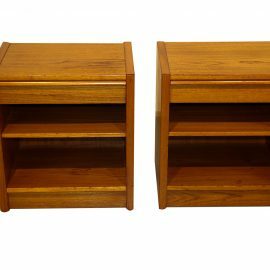 Modernist teak Danish nightstands end tables produced in Denmark by Jesper circa 1970’s. 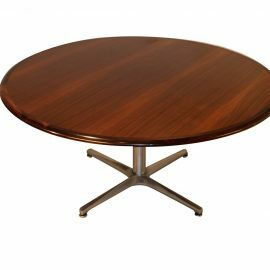 Beautiful circular, rosewood coffee table, by Skovmand & Andersen for MM Moreddi, circa 1960s. 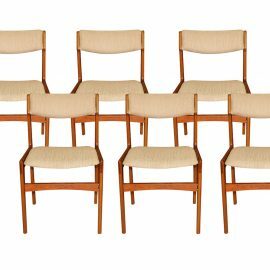 A set of six gorgeous 1960s Danish modern teak dining chairs made in Denmark. 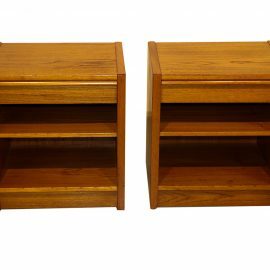 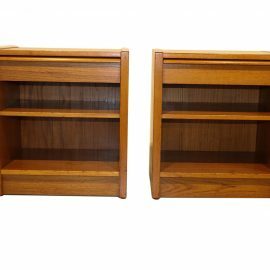 A beautiful pair of Mid Century Danish Teak Nightstands/End Tables produced in Denmark circa 1960s. 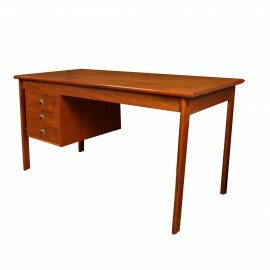 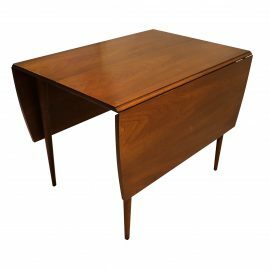 Mid Century Danish Teak Slide Top Desk made by Peter Lovig Nielson and designed by Jens Quistgaard. 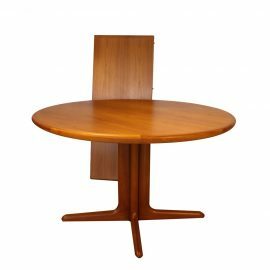 This gorgeous round teak extending dining table displays beautiful teak grain strikingly gorgeous of a deep rich patina and remains in good condition, extends up to 67 3/8″, manufactured by Skovby in Denmark. 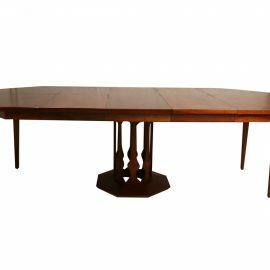 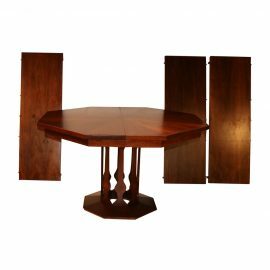 A beautiful Walnut Octagonal expandable Dining Table, part of the Intaglio collection, designed manufactured by Foster McDavid circa 1970’s. 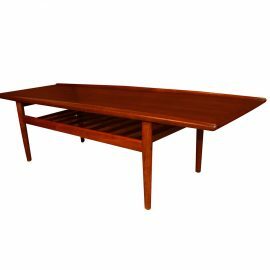 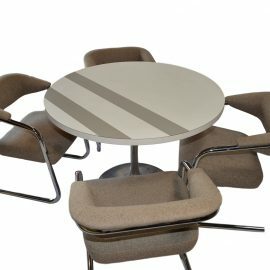 A beautiful mid-century modern Danish surfboard coffee table by Grete Jalk for Glostrup Mobelfabrik.